A zebra stream. 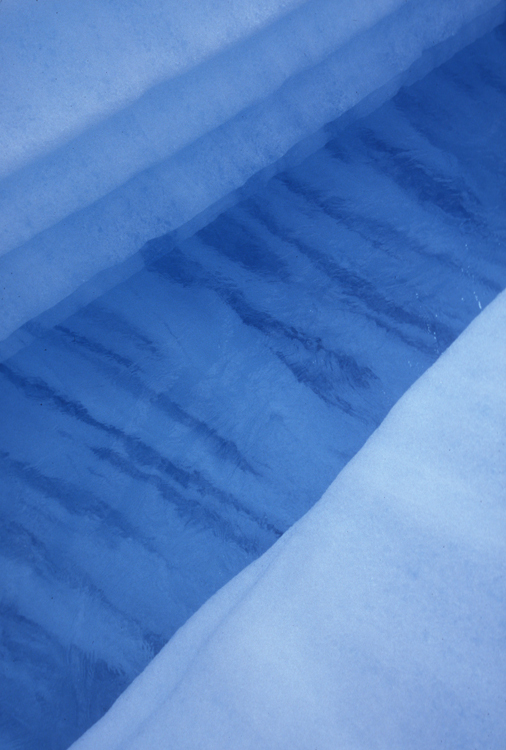 The white ice in the bottom of the stream is bubbly glacier ice, the clear ice is probably refrozen ice from some time. The scalloped walls of the stream show how far down the stream cuts each day (about 10 cm). During the warmest part of the day, more water is flowing in the stream and it erodes a slightly wider channel, then at night there is less water in the stream and the channel narrows a bit.